When You Have the Right Tool for the Job, Things Just Go More Smoothly. When was the last time you effectively drove a screw in with a hammer? It’s just not going to happen. 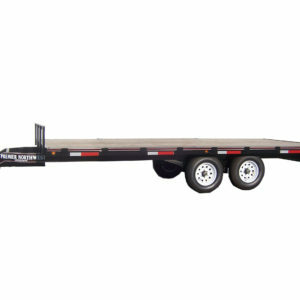 The same goes for using a regular truck toolbox when you’re towing a fifth wheel trailer. 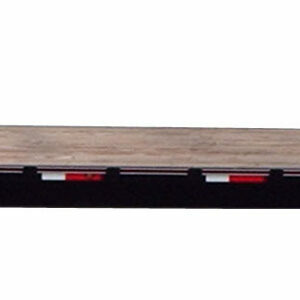 Why use a box that was designed for a standard pickup, when you could have one built specifically for your fifth wheel? Our Red Label Utility Chest is designed with the fifth wheel in mind. 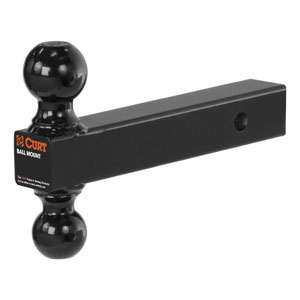 It fits securely on either side of the hitch, at the front or back of your truck bed depending on your preference. As They Say, Bigger is Better. Our Red Label Fifth Wheel Utility Box offers plenty of storage for tools and other supplies you may need to haul along with your trailer. 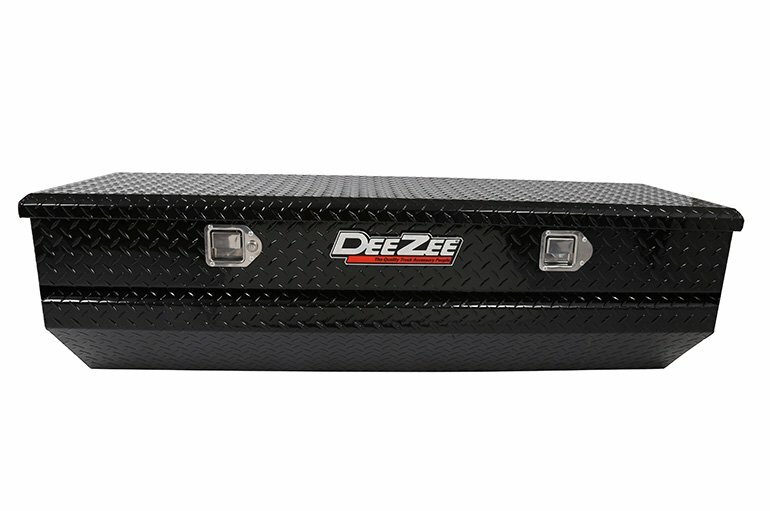 We like to make tough things here at DeeZee, that’s why the Red Label Utility Chest is forged out of .056 Brite-Tread aluminum using a crown style lid with a full pan double-V stiffener for superior rigidity. 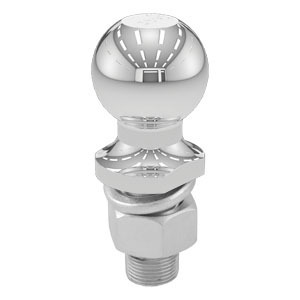 We also like to make life as easy as possible for those folks out there putting in a hard day’s work, so we use dampened gas shocks for silky smooth opening and closing of the lid. All of this doesn’t mean a thing if the stuff in your box isn’t safe from theft or damage. Lockable paddle handles keep people out of your toolbox, and a closed cell foam gasket keeps the contents of your box dry, cozy, and protected from the elements. Constructed of heavy duty Brite-Tread aluminum. Crown style lid with a full pan double-V stiffener for superior rigidity.